In honor of the 40th Anniversary of Van Halen! 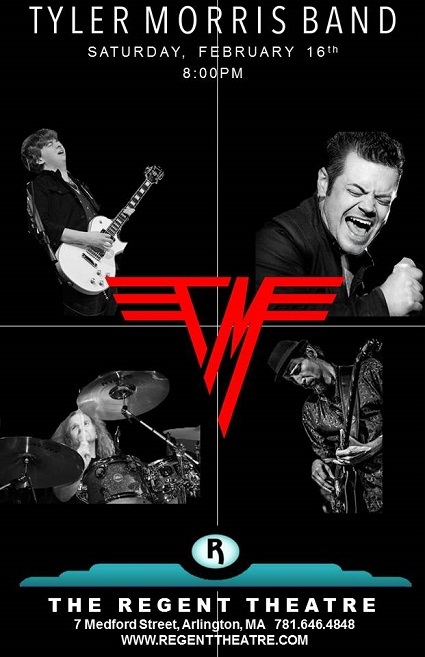 Tyler Morris, whose Vintage Guitar Magazine exclusive Eddie Van Halen Tributereached over 250,000 views, will be performing Van Halen 1 and other Van Halen classics on stage at The Regent for the first time! Tyler Morris has been playing guitar at a professional level since he was eleven, and at the ripe old age of nineteen he released his third album internationally. Nevertheless, Tyler is not just another young musical genius — his gift runs deeper than an amazing set of ears paired with two very skillful hands. Ever since he picked up a guitar, Tyler has been driven to get to the roots of the songs and styles he learns and absorbs, and to reflect his huge and growing body of influences onto his own interpretations and eventually, his own compositions. Thanks to his father’s music collection, Tyler developed an affinity for Blues and Rock music around the age of six and settled on guitar as his primary obsession within three years. He would work on songs by Eric Clapton, Aerosmith, as well as B.B. King until he could do a faithful rendition of the originals. 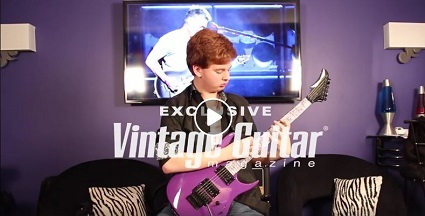 Tyler then turned to Van Halen, learning their catalog and channeling that style so thoroughly that he was later featured in a blazing tribute video to Eddie Van Halen’s technique for Vintage Guitar magazine. After a few years, Tyler turned his attention to more classically rooted Rock musicians such as Deep Purple/Rainbow’s Ritchie Blackmore, Yngwie Malmsteen, and Jason Becker, and also became interested in Andy Timmons, Gary Moore, Bon Jovi and Journey.